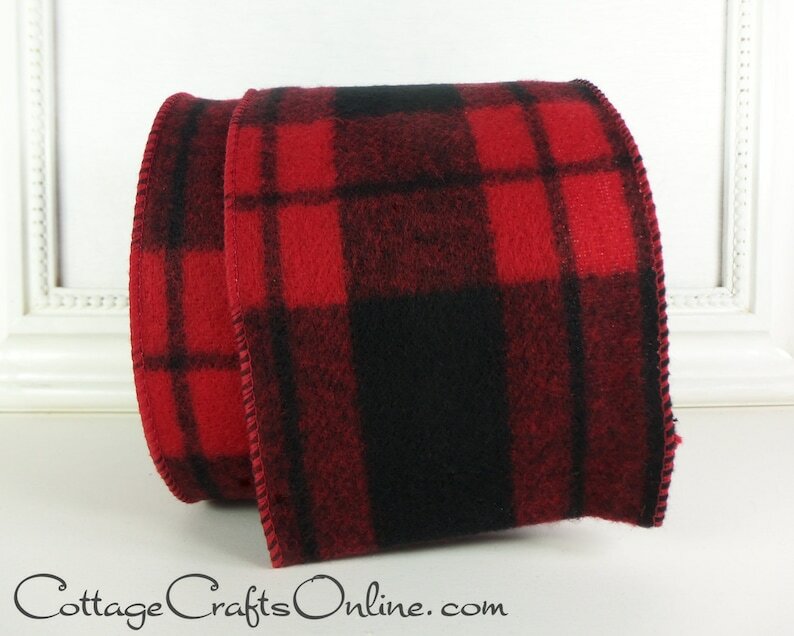 Flannel wired edge ribbon, 4" wide in an oversized plaid combination of red and black. Brushed flannel face is on one side of the ribbon. This listing is for a ten yard roll (30 feet). Beautiful ribbon and shipped super fast! Exactly what I was wanting and super fast shipping!! Love the ribbon! Perfect for my Christmas tree! Shipment was very quick. Thanks!